On January 12th 24 nervous candidates started our 12 week beginners programme. This was our 16th course taking complete beginners to 5k in just 12 weeks. The course prides itself on being the first and most successful beginners group in the area having coached 300+ runners over the last 7 years. During the 12 weeks, candidates are taught the basic principles of running posture, breathing techniques, clothing, safety, injury prevention and treatment. They also have Jacqui and Debbie only a phone call away for advice and encouragement 24/7 and meet other runners who have been through the beginners programme and now run with the main RRC club. 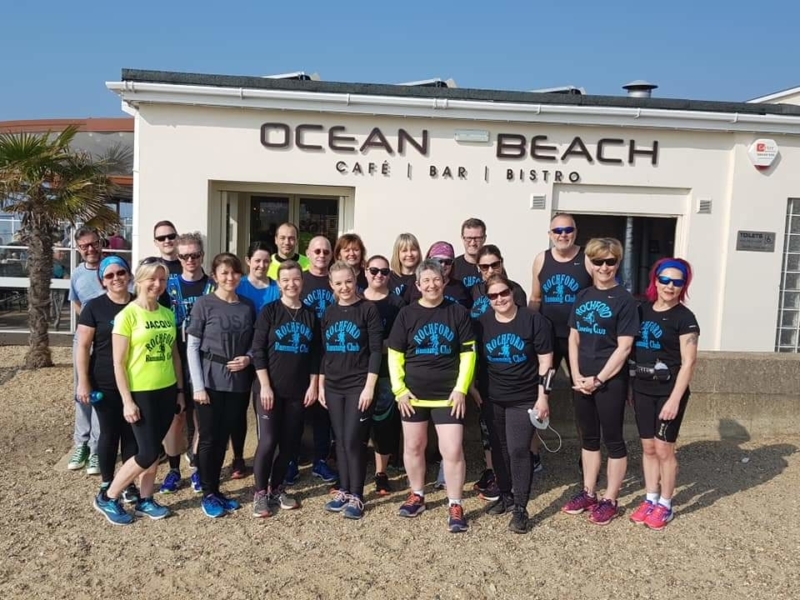 20 runners graduated on Saturday doing their 3 mile final run along a sunny Southend sea front before heading into Ocean beach for celebration drinks and breakfast! They also attended their first parkrun (for most) on the 6th April being cheered on by their fellow RRC running mates at the Parkrun Club Takeover. A VERY WELL DONE TO ALL ! The next course is planned for the Autumn and Debbie is already taking names to add to the enquiry list.